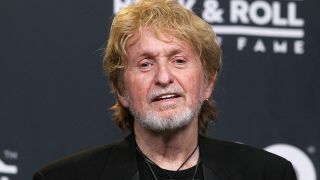 Vocalist Jon Anderson has revealed that he’s “very open” to a Yes reunion at some point in the future. The vocalist is gearing up to launch his new album 1000 Hands on March 31, which features a guest appearance from Yes guitarist Steve Howe. He’ll back the album up with the Past Present Future tour but once the live shows wrap up, could a reunion with Howe be on the cards? Anderson tells Rolling Stone: “I’m very open to it. It’s been 50 years now. You think something has got to happen. To me, a great album has to be made. That’s what I think. “I don’t know how it’s going to be made, but the final Yes event should happen. I’ve talked to a couple of people about it and they get it. In the interview, Anderson also confirms that Yes Featuring ARW are on indefinite hiatus, with the singer saying the project with Trevor Rabin and Rick Wakeman enjoyed “a good couple of years” together. He adds: “Onstage we were just killing it every show. It was magic. But there was, dare I say it, mismanagement of the situation. “I love the guys – we’re musical brothers. I just thought, ‘I need to breathe.’ I couldn’t breathe towards the end. It felt like too much weight on me. Also, there was too much of, ‘Should we do an album?’ We couldn’t agree on that. Anderson’s began working on 1000 Hands 30 years ago with Alan White and the late Chris Squire under the working title Uzlot. Along with Howe, the record will feature artists including Jethro Tull’s Ian Anderson, Steve Morse, Billy Cobham, Chick Corea, Rick Derringer, Pat Travers, Jonathan Cain and jazz fusion violinist Jean-Luc Ponty.